Long ago, when time was new and all of history was still a dream, the Gods ruled the earth, Zeus king among them. Zeus created beings over which the Gods would rule. Beings born in his image, fair and good, strong and passionate. He called his creation “man.” And mankind was good. But Zeus’s son grew envious of mankind and sought to corrupt his father’s creation. This was Ares, the God of War. Ares poisoned men’s hearts with jealousy and suspicion. He turned them against one another and war ravaged the earth. I’m continually amazed how Hollywood depicts polytheism. More often than not, it does not resemble the historic mythologies of multiple competing, selfish, and dangerous deities, but it instead portrays an all-powerful and loving god, a good divine child, and a usurper. In other words, Hollywood inserts Christianity into polytheism1, and I don’t blame them. It’s a better story, revealing that God made us for a world better than we experience, and it gives hope that all will be made well again. Great stories start with echoes of paradise. 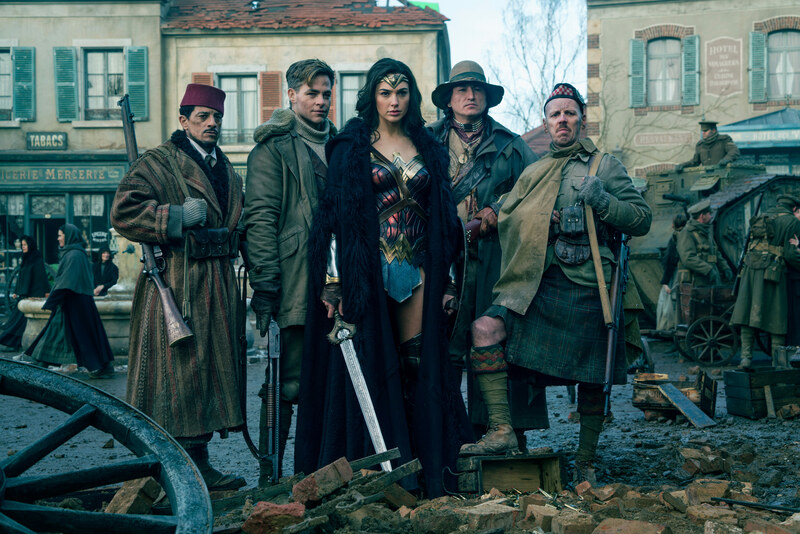 © Warner Bros.
Wonder Woman, like the scriptures, begin with utopia for men and women. Despite this, a tempter rises up and leads people astray, and we find ourselves in the mess we call life. Wonder Woman’s bliss comes to an abrupt end when Steve Trevor crashes off the coast of her hidden island. Followed by German soldiers, she and her people experience loss and learn World War I rages on. 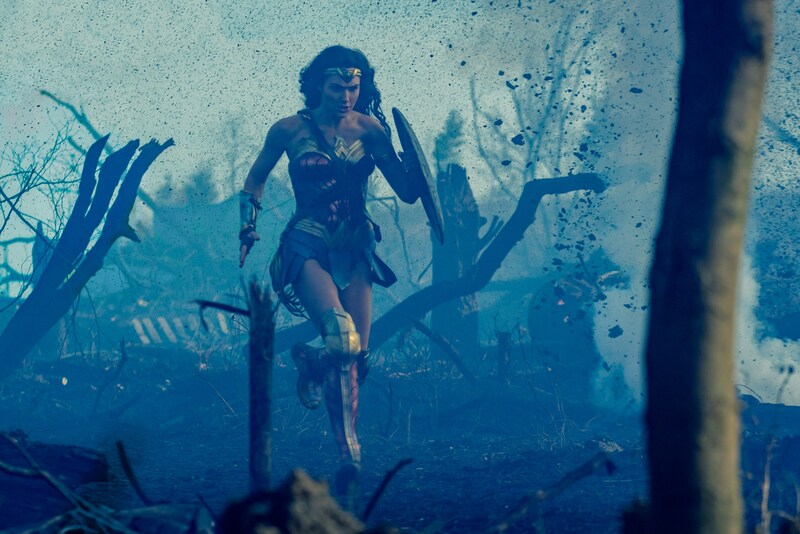 Wonder Woman, known as Diana Prince, believes people are inherently good, but deceived by Ares. Since warfare is not really their fault, they deserve to be set free from his control. 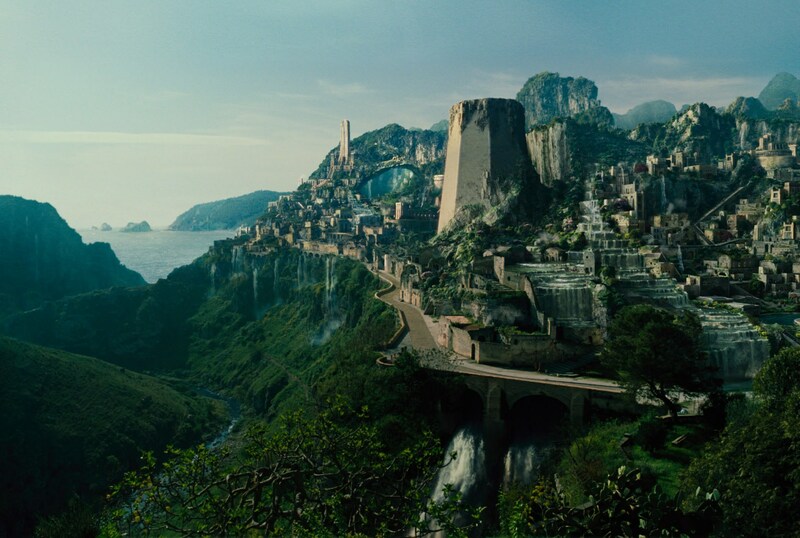 Consequently, she leaves with Steve to find and defeat Ares, which she expects will immediately stop World War I. But, her worldview shatters after she kills General Ludendorff, whom she believed to be Ares. Diana: Ares is dead. They can stop fighting now. Why are they still fighting? Diana: They were killing each other. Killing people they cannot see. Children… Children! … My mother was right. She said, “The world of men do not deserve you.” They don’t deserve our help, Steve. Steve: It’s not about deserve! Diana: They don’t deserve our help. Steve: Maybe we don’t! But it’s not about that. It’s about what you believe. You don’t think I get it after what I’ve seen out there? You don’t think I wish I could tell you that it was one bad guy to blame? It’s not! We’re all to blame. Steve: But maybe I am! Many make a mistake similar to Diana. They argue that most people (including themselves) are good, but an elite few have corrupted society. While some might attribute all human failing to Satan (which is horrible theology), more people place all blame on politicians, Wall Street executives, religion, or the 1%. [People] have always been, and always will be weak, cruel, selfish, and capable of the greatest horrors… All these years I have struggled alone, whispering into their ears. Ideas, inspiration for formulas [for poison gas], weapons, but I don’t make them use them. They start these wars on their own. Certainly, the rich and powerful have the ability and motive to cause significant harm, and they can influence others to do the same. But as the film points out, this does not mean everyone else is innocent. Many participate in systemic injustices and others remain complacent towards them. Apart from societal evils, people’s selfishness and pride frequently hurt others in their personal lives. Since all four partner with her in fighting the Germans, learning that the government of Trevor(to her left) oppressed the people of the Chief (to her right) challenges her simple notion of Good Guys and Bad Guys. © Warner Bros.
A great story is not complete without the sacrificial death. While Ares confronts Diana, a plane filled with poisonous gas takes off for London, and Steve Trevor catches up to and commandeers it. Unable to stop the countdown to its explosion, he chooses to fly it far away and detonate the gas, destroying the plane and sacrificing his life. Diana’s worldview changes. More than his words, Steve’s actions taught her to love those who did not deserve it, demonstrating to her and us that true love is unconditional and sacrificial. Ares: Look at her and tell me I’m wrong. She is the perfect example of these humans and unworthy of your sympathy in every way. Destroy her, Diana. You know that she deserves it. They all do. Diana: You’re wrong about them. They’re everything you say, but so much more. Ares: Lies! They do not deserve your protection! Diana: It’s not about deserve. It’s about what you believe. And I believe in love. Perhaps you’ve heard a dry presentation of the Gospel and rejected such depressing notions that you are sinful. To be honest, people usually don’t like to hear “all have sinned and fall short of the glory of God” (Romans 3:23). But if your heart resonated with the message in Wonder Woman that “we are all to blame”, then maybe your concern had been the presentation and not the content. After all, Jesus does not seek to condemn. Like Steve Trevor, He understands our faults and loves us anyway. He even died for us. Unlike Trevor, Jesus rose from the dead and calls us to participate with Him in being part of the solution. So, let’s do that. Can you think of a person in your life who doesn’t “deserve” your forgiveness or help? “It’s not about deserve.” Forgive. Help. Let us selflessly enter no man’s land to help others. © Warner Bros. I used to want to save the world. To end war and bring peace to mankind. But then I glimpsed the darkness that lives within their light and learned that inside every one of them, there will always be both. A choice each must make for themselves. Something no hero will ever defeat. And now I know that only love can truly save the world. So I stay. I fight, and I give for the world I know can be. This is my mission now. Forever.